Hudler Signing Merely an Opening Move? Stars have agreed to terms on one-year deal with Jiri Hudler for $2 million. Still waiting on signed contract. The news took the hockey world by surprise, as fans and pundits alike spent the summer focusing on Dallas’ goaltending and defense. Of all the questions surrounding the Stars, “Do they need another scoring forward?” wasn’t one of them. Why, then, would they sign Hudler? There are a few possibilities, some of which are more likely than others. 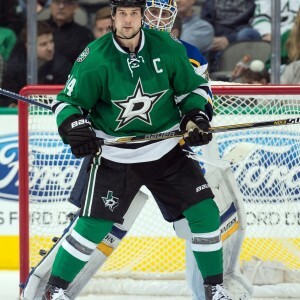 Tuesday afternoon, team captain Jamie Benn and the Stars announced he would not play in September’s World Cup of Hockey. Benn underwent surgery for a core muscle injury on July 14. His expected recovery time was six weeks, which (theoretically) would’ve allowed him to play in the World Cup. Despite Benn bowing out of the tournament, GM Jim Nill insisted his captain would be ready to start the season. But what if he’s not? It’s possible Hudler was signed as an insurance policy, much like the Florida Panthers’ acquisitions of Reto Berra and James Reimer following Roberto Luongo’s off-season hip surgery. While the (one-year) term suggests this could be a possibility, training camp is still a month away; there’s no reason for the Stars to downplay the extent of Benn’s injury. With training camp on the horizon, the Stars have yet to reach an agreement with restricted free agent winger Valeri Nichushkin. On RFA Valeri Nichushkin, Nill said he has had good talks with his his agent. Though some fans have grown impatient with the pace of the young Russian’s development, Nichushkin made great strides late last season and could be on the verge of a breakout year. Contract negotiations with the RFA could be slowed by a debate over his role on the team, but the most likely obstacle is term. Given the former first-round draft pick’s enormous potential, Nill would be wise to push for a long-term, low-cost contract, like John Klingberg’s. Nichushkin likely seeks a much shorter term, hoping his breakout season (when it comes) will result in a much larger deal down the road. If the negotiations are more contentious than Nill lets on, it’s possible they could drag on through training camp and into the regular season; in that case, signing Hudler makes sense, as the veteran can easily fill a top-six role in Dallas. When it comes down to it, though, Big Val Nichushkin has to understand just how important training camp is for his continued development. After all, he can’t have a breakout year sitting at home, can he? Odds are he’ll sign on the dotted line before September 23. Due to league-mandated limits on roster size, personnel moves become a zero-sum game at a certain point. With 22 players under contract and negotiations with Nichushkin ongoing, the Dallas Stars have reached that point. Per Cap Friendly, Dallas now has 13 forwards under contract. The young Russian, when he signs, will make 14. Winger Curtis McKenzie, who spent most of last season with the Texas Stars, is expected to earn a roster spot in camp, giving Dallas 15 forwards. If defenseman Esa Lindell meets expectations and moves to Dallas, the Stars will again have eight defensemen on the roster. That means the club can only carry 13 forwards. One way or another, two skaters must go. With the addition of Hudler (and including Nichushkin), the Stars have seven top-six forwards. That, plus eight defensemen (and let’s not forget Julius Honka, who might be NHL-ready this year) and a giant question mark in goal, suggests a significant trade could be in the offing. 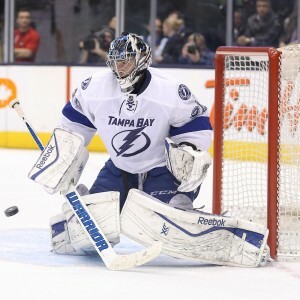 Could Ben Bishop finally make his way to Big D, or has Nill set his sights on another netminder? Either way, signing Jiri Hudler looks like a smart opening move.